Last night I watched a snippet of the Parks and Recreation Commission meeting. I say a "snippet" because watching ANY of it has become a very painful experience - like pulling teeth. As well-intentioned as those five men may be, none of them have a clue about what it means to run a meeting, including Chairman Jeff Mathews. It's as though they completely forgot the concept of "homework" from when they were in school. They approach the agenda as though the first time they saw it was when it hit their desks on the dais. None of them seem to have read the staff reports, which is especially frustrating for viewers and, I'm sure, for the staff. One of the problems, as I see it, is that they only meet every other month. Watching an idea run, er, crawl it's course through this commission is worse than watching sap run. 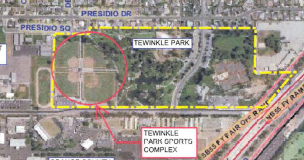 For example, in August they held a special meeting at which three groups presented their ideas about how they would propose operating the TeWinkle Sports Complex as a commercial entity. Each had their strengths and weaknesses. The upshot was that the Parks and Recreation Commission would propose to the council a Task Force to do community outreach and study this issue, then present their findings. However, that "process", such as it is, only now began to take shape. Last night the Parks and Recreation Commission suggested a 9-person task force and staff will pitch this to the council at an October meeting - maybe the one next week. The way it's going, we wont' see that task force constituted until January. In the meantime, our current city council is operating like a Nazi blitzkrieg - blasting through the city, laying waste to what's left of the staff, ignoring policies and laws - apparently hoping to get "things done" before folks realize what they're doing. At it's meeting last week the council directed staff to get those vendors back to make a pitch to the council - ignoring the fact that their appointed Parks and Recreation Commission already had that ball rolling. But, meeting every other month, there's no way it can keep up with the commandments of this council. Perhaps it's time for the Parks and Recreation Commission to go back to monthly meetings. In closing, I mentioned after the previous Parks and Recreation meeting that Righeimer sy cophant Ethan Temianka, asked the staff to come back with a methodology to require permits for 5 or more persons playing in our parks. He did some fancy backpedaling on that issue, using some actions of the Homeless Task Force as a cover story. I suspect he felt the wrath of the community when he pitched that hair-brained idea. Again, probably didn't do his homework first. This is what happens when you appoint your campaign manager to a commission whose only qualifications for that assignment were that he once played on Costa Mesa fields. Geez! Perhaps Lil Ethan has the ability to listen? Listening to the residents might put him in bad standing with Boss Righeimer. Ms Jackson should get in line with a lawsuit against the City. The City’s lack of maintaining the 2 trees on City property, in front of the buildings, have destroyed personal property. The City IS responsible for trees up to 5 ft from the curb. If there was a sidewalk on this property, the city would be responsible for that repair. As the former commission chair suggested, “the City is responsible for this entire repair.” Also, he suggested that if the City is going to do this, do it as a 100% fix. So far it seems like most politicians associated with Righeimer don't seem to listen. Perhaps Mr. Temianka is aware he is not up to running the parks. Perhaps he believes will have better luck on the Mesa Consolidated Water District Board. I believe I saw his name listed as a candidate. Better start filling up plastic bottles and stashing them in the garage just in case.